A native of Zachary, LA, Dr. Elizabeth Hess has deep roots in the Zachary and Baton Rouge community. 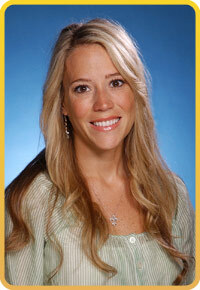 She graduated from Zachary High School, Louisiana State University, and LSU School of Dentistry. Following dental school graduation, she completed a 2-year residency in orthodontics from Baylor College of Dentistry in Dallas, TX. Dr. Hess is a member of the Greater Baton Rouge Dental Association, American Dental Association, Louisiana Dental Association, and the American Association of Orthodontics. She also is a Diplomat of The American Board of Orthodontics giving her Board Certification by going a step beyond orthodontic residency to attain this highly sought after certification. A devoted LSU fan, Dr. Hess has served the Greater Baton Rouge community during her early career with her practice, Orthodontics of Baton Rouge. Most recently, Dr. Hess has established her new and primary practice, Zachary Orthodontics in her hometown of Zachary, LA. She is thrilled to give back to the community that has given so much to her. Dr. Hess, her husband, Darren, her four children, Hamlin, Archer, Beau Henry, and Adaire are excited to be a part of the Zachary community. She makes a mean pot of cajun red beans and rice… mmm! Like some patients, she was born missing 1 permanent tooth. Her favorite food is pizza and bananas… but not together!! She and her husband, Dr. Darren Hess, were dental school classmates.